Cybersecurity minister has never used a computer?! Yoshitaka Sakurada, 68, recently admitted to the Japanese legislative chamber he has never used a computer in his life. "I have never used a computer in my life," were the words that came from Yoshitaka Sakurada, aged 68, in front of a lawmaking committee within the Japanese legislature, National Diet. Sakurada is the Minister of State for the Tokyo Olympic and Paralympic Games as well as recently being appointed as a deputy minister of Japan's cybersecurity strategy office. He met with lawmakers on Wednesday admitting, “since the age of 25, I have instructed my employees and secretaries, so I don’t use computers myself." When being prompted about the use of USB drives in Japanese nuclear facilities, he was reported to look confused about the question put forward by the committee. His role as Minister of State and Deputy Minister includes him leading preparations for cyber-defence in time for the 2020 Olympics. Controversy spans further than his clear lack of technological knowledge, however, as he has previously claimed to have no knowledge about plans to allow the North Korean Sports Minister attend an Olympic meeting in Tokyo, despite there being a ban on any North Korean officials entering Japan. 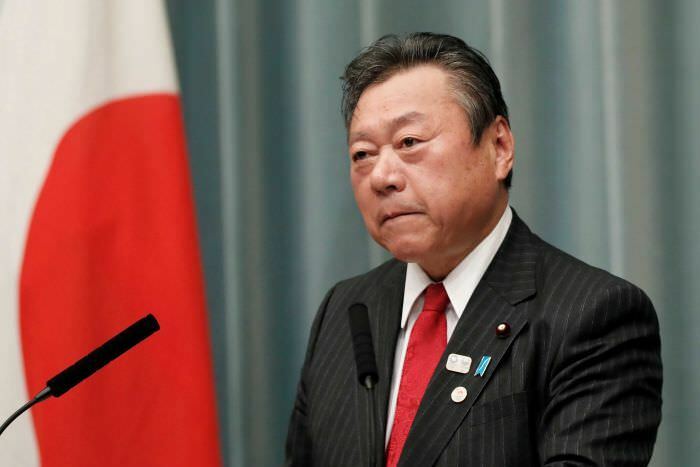 This lack of knowledge stirred unease with political opposition, with claiming that Sakurada was unfit to lead the plans for such an important event in the country. What do you think about the minister's admission? Do you think he should stay in his position?